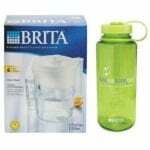 News of BPA-laced water bottles, environmental woes caused by people not recycling or empty bottled water bottles, revelations that some bottled water comes from municipal water systems and other tidbits of information have put the bottled water industry on its heels… and now this. A town in Australia banned bottled water AND London has decided to install chilled water vending machines on a trial basis in several highly trafficked locations. This means a whole lot of thirsty commuters will soon have the option of filling up personal water bottles at home and then refilling with clean, chilled water on their way to the office for a much less money than they would normally spend on bottled water. So the question becomes, will London commuters take advantage of this fantastic money-saving opportunity? We think that will depend upon the quality of their water at home and the quality of the water dispensed by the machines. 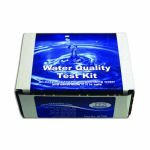 So, as usual, we suggest people test their drinking water for contaminants on a periodic basis with a test kit such as the SenSafe Water Quality Test Kit which tests for contaminants commonly found in drinking water. Testing procedures in the kit come from recognized water testing methods, the kit contains no harsh chemicals (liquids, tablets, etc. ), it comes with clear, easy-to-follow instructions, and best of all it provides accurate results without the need for expensive testing equipment. Table SenSafe Water Quality Test Kit also includes a handy table record and compare your results against USEPA recommended levels for drinking water. « Swine Flu and Chlorine Testing?